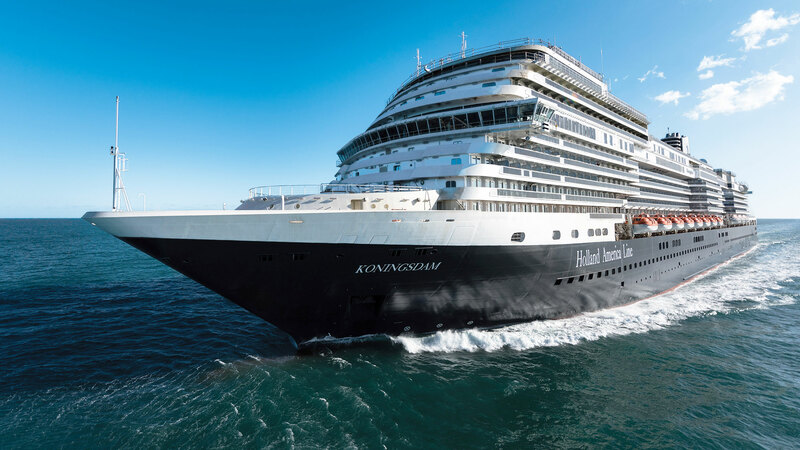 The launch of Holland America’s Koningsdam was one of Carnival Corp.’s second-quarter highlights. Driven by higher ticket prices and fuller ships, Carnival Corp. had net income of $605 million in the second quarter, up from $222 million a year earlier. Net revenue yields rose 3.6%, significantly higher than the range of 1.5% to 2.5% in the company’s earlier forecast. The results came despite a currency-exchange drag and fuel price increase equal to $127 million. “This was among the most remarkable quarters in the history of the company,” said CEO Arnold Donald, citing not only the earnings but the introduction of three new flagships (Carnival Vista, Holland America Line’s Koningsdam and the AidaPrima) and the historic launch of Cuba cruises by the new Fathom brand. Carnival’s revenue advanced slightly to $3.7 billion from $3.6 billion. The increase in yield was a combination of a 3.5% increase in ticket prices and a 4% rise in onboard spending, CFO David Bernstein said. Prices for Europe cruises on Carnival’s North America brands are lower although occupancies are up, Bernstein said. Donald positioned the decision by Britain to leave the European Union as a boost for Cunard Line and P&O Cruises because their fares in the weakened pound sterling are now more competitive with land vacations abroad for British travelers. Bernstein said every change of 10% or more in the pound’s value has an effect of about 8 cents a share, or about $60 million, on Carnival’s full-year results. Donald said Carnival has looked at its U.K and European forecasts in light of the Brexit vote. “At this point, we have no reason to adjust anything,” he said. Cruise stocks, including Carnival’s, were hit harder than the market in general after the British vote. After the earnings release, Carnival shares were up more than 4% but were up less than 0.25% by 11:30 am Eastern. Asked about the future development of Fathom, Donald said that its cruises to the Dominican Republic are geared toward a “travel segment rather than cruise,” and that Carnival’s ability to access that segment is “challenging.” He said Cuba sailings on Fathom have been successful and are very strongly booked for fall, but that there are still unsold cabins on summer departures. This entry was posted in Uncategorized and tagged Aidaprima, Carnival Corporation, Carnival Vista, Dominican Republic, Fathom Cruise, higher ticket prices, Holland America Line, Koningsdam, profit increase. Bookmark the permalink.